Posted in 52 Ancestors Challenge on January 22, 2014 by Amy Johnson Crow. More blogs. More posts. More people making connections. 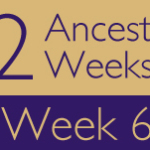 It’s time for the Week 3 recap of 52 Ancestors in 52 Weeks! There are numerous posts that stood out to me this week. Two of them included a heart wrenching tale on Generation’s Gone By’s Weblog. Genohio used a variety of sources to give context to a boiler explosion that killed six men. Oh, and the numbers? 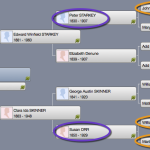 204 articles this week (including my look at a rare non-farmer in my family tree). So far, a total of 242 blogs have said that they are taking the challenge. BOLAND – “No. 3: John P. Boland” by Tim on Photo Restorations by Tim G.
JOLLETT – “#3 Thomas Jollett” by Wendy on Jollett Etc. PULLEYBLANK – “#1 George Henry Pulleyblank” by Gail on Family History Etc. RECTOR – “Hance Rector, Born Circa 1857, Madison County, North Carolina” by Piper Ontero on What Do You Mean We’re Irish? ROBINSON – “#2 John Robinson (1861? – 1894)” by pwhite on Who ARE You People? SMITH – “#3 Joseph Smith” by Joanne Clyde on Do You Know the Muffin Man? Thanks, Wendy. I’ll list it in next week’s recap. Somehow I didn’t have your blog in my Feedly list. It’s there now and I should be able to find your “52 Ancestors” posts. Thanks! I keep trying to add your site to Feedly, but it says that it can’t find it. I’ll go through and add your posts for weeks 1-3, but I’m not sure why my blog reader can’t find it. Wow! Such a lot of us! I look forward to reading them ! Thank you for curating all of this; it’s got to be taking time from your own research. I just want to point out to folks that the name I was researching is Hartman, not Henn (I haven’t started my Henn side yet) . Not a big deal except I’m hoping for some help as I’m stuck. Even pointers from Ohio researchers in general would help, as I’m a beginner and no longer live there. 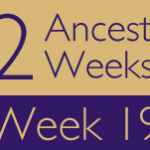 Please add my 52 Ancestors blog – Once Upon a Chromosome, week #1 Coskrey, week #2 Treat. Thanks. Hi Cathy! I’ve added your blog to my Feedly reader and will start including your posts with next week’s recap. Thanks for joining! You have inspired an amazing project! Thank you. I am grateful for the focus it brings as I write about my ancestor. it is great to be surrounded by so many wonderful bloggers! Thanks for the recap, Amy! Great job, Amy! I haven’t seen my last two posts listed, either. What am I doing wrong? Are you putting “52 Ancestors” somewhere in the post titles? That’s how I’m able to pull them out of the list on Feedly. It’s on the list now. Thanks! Thank You for including me! I am not a writer. I have a real anxiety about writing but want to share my family tree in hopes that family will eventually become interested. So your challenge has become an avenue of hope for me, Thank You for this motivation! Great job everyone! And thanks again Amy for tracking us all! 52 Ancestors: #4 William Henderson DEMPSEY 1860-1941 and plan on posting on my Facebook page “Opening Doors in Brick Walls”. Now to find time to read some of the contributions. That’s a great solution! The important thing is to write and share it with others, no matter the venue. 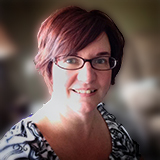 Started a blog and will be moving the posts over to http://openingdoorsinbrickwalls.wordpress.com/ in the next few days. Thanks for hosting such a wonderful blog prompt. I am late joining but here’s my first try. I look forward to reading as many of these wonderful blogs as I can. No worries on being late — the writing is the important thing! Thanks for including my post! I am doing my best to catch up. Got a bit of a late start! Amy, could you clarify the deadline for the weekly recaps so I can get mine posted on time. I missed the recap for week 3. Will it be picked up for week 4? Tuesday at 8:00pm Eastern (preferably sooner).